Educated at Dover Grammar School for Boys, Scott Farrell took up the organ at the age of thirteen & by the age of sixteen had passed his Associateship of the Royal College of Organists. In 1989 Scott went up to Royal Holloway, University of London as Organ Scholar to read music. He then pursued post-graduate studies at the Institute of Education, University of London combining this with the post of Assistant Organist at St Paul's, Knightsbridge. 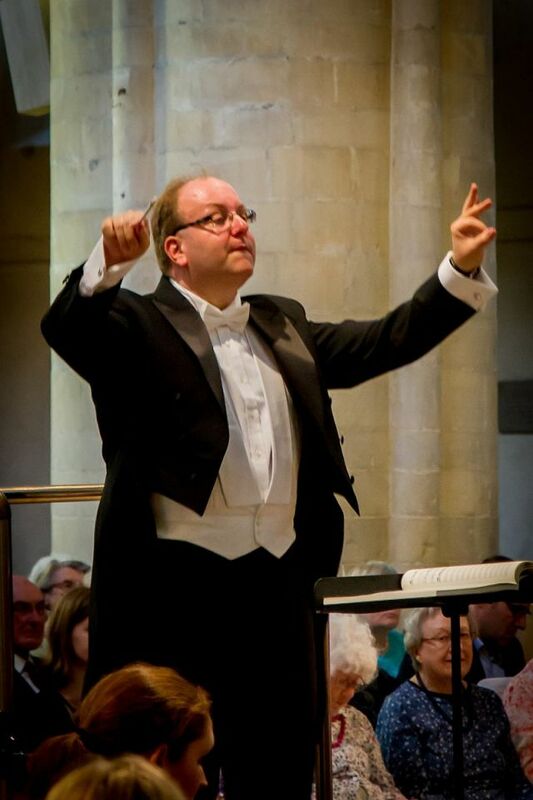 In 1993, Scott took up the post of Assistant Director of Music at St Edmundsbury Cathedral & then in 1999 moved to Ely Cathedral as assistant to Paul Trepte. Whilst here, he undertook tours radio broadcasts and recordings with the choir alongside concert platform performances with the Britten Sinfonia & as Musical Director of Ely Choral Society. In 2002, the Cathedral Church of St Nicholas, Newcastle upon Tyne claimed Scott's services as Organist & Master of the Music. It was here that Scott formed a strong relationship with Regent Records, releasing three discs with the Cathedral Choir & a solo organ disc, Vol VIII in Regent's The English Cathedral Series to critical acclaim ("Nimble playing from Scott Farrell" BBC Radio 3 Record Review). Scott built the reputation of the choir such that they were invited back to the Radio 3 Choral Evensong schedule as well as to perform regularly with the Royal Northern Sinfonia alongside guest appearances with the Mediaeval Baebes & Fine Arts Brass. In 2008 a new chapter opened as Scott moved to Rochester, the second most ancient Cathedral in England, founded in 604 AD, where he was responsible for all music in the Cathedral until 2018. Under Scott's leadership, the choir were regular broadcasters on BBC Radio 2, 3 & 4, as well as Classic FM & appearances on television. The choir released five discs, including three for Regent Records, including Sing Alleluia, Christmas from Rochester and A Year at Rochester, as well as The Rochester Mass with the James Taylor Quartet; a true crossover between the worlds of cathedral music & acid jazz. Under his direction, the choir toured widely including participating in the Victoria International Arts Festival in Malta three times. They were also invited to the Internationale Chorbiennale, Aachen, Germany to sing in performances of Britten's War Requiem and enjoyed three Christmas tours to Germany & Holland. Recent concerts saw the choir join forces with English Touring Opera, London Concertante, The King's Singers, The Sixteen and, most unusually, the James Taylor Quartet in the Queen Elizabeth Hall & Ronnie Scott's, the world-famous Jazz Club. As a solo organist, Scott has recorded discs on the organs at St Edmundsbury, Ely, Newcastle and Rochester. Solo recitals have taken Scott to Sweden, Malta and also Westminster Cathedral, Westminster Abbey, Temple Church, and the Cathedrals of Liverpool, Canterbury, Chichester and St. Paul’s amongst others. In October 2017, Scott was awarded an Associateship of the Royal School of Church Music in acknowledgement of his work in cathedral music as well as for the RSCM. John read music and held the university organ scholarship at Bristol University, before being appointed organ scholar at Chichester Cathedral and latterly Church Cathedral, Dublin where he studied with Tristan Russcher and Andrew Johnstone. John spent three years as teacher of music and organist at Loretto School, Edinburgh, and sang counter-tenor at St. Mary’s Cathedral. John also enjoys playing the trumpet and refounded Loretto School’s Jazz Band, taking the group to Dublin in 2011 for a concert tour. John has served as assistant staff and organist on the Eton choral courses since 2010 and gained the FRCO diploma in 2014. John served as Head of Co-Curricular Music at Bradfield College, Berkshire and took their choir on tour to New York and Boston in 2015, and campaigned successfully for the restoration of the college organ, which opens in January 2019. John was appointed Director of Music at King's School Rochester in September 2017. The Rochester Choral Society is on Facebook, Twitter and Gerontius.net.